Is reconciliation possible in a marriage that's gone wrong? Did you think, on your wedding day, that it would be all right if one of you one day walked away? Or did you believe that when you married, it was for life? Then it all fell apart for one reason or another. Your partner walked away or kicked you out, and you didn't want it to happen. So is there hope? Can God reconcile you to the one you still love? This book will give you an understanding of what you can do in your situation. It shows God's perspective on marriage, it talks about forgiveness, prayer, spiritual warfare, and the work of the Holy Spirit. So what's on the other side of the mountain? Only God knows, but remember, He loves your spouse more than you do. He doesn't want your marriage to fail. "Without ramble, apology or religious 'coating' and after more than six years of prayer, faith, belief and action... Hinton's approach in this book is ... simple, pragmatic, taking the reader over a handful of basic steps and deep into the heart of the Gospel." "A timely, much needed, and challenging book that will give you an understanding of what you can do should such a situation face you. 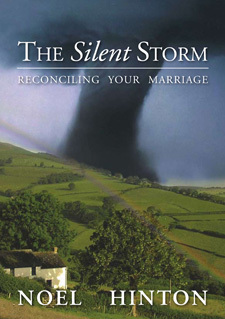 It clearly outlines God's perspective on marriage and what Jesus Himself taught on this most important subject." Help: Click 'Add to Cart' to purchase. You can continuing browsing other Castle titles after adding this book to your cart. To view your cart click 'View Cart' in the top menu. Powered by PayPal (PayPal account not required for purchases). To purchase the eBook version, click on the icon to buy from our eBook retail partners. Copyright © 2011 Castle Publishing Ltd.